Jean Piaget - Swiss psychologist (1896-1980). His theory provided many central concepts in the field of developmental psychology and concerned the growth of the intelligence, which for Piaget, meant the ability to more accurately represent the world and perform logical operations on representations of the concepts grounded in the world. The theory concerns the emergence and acquisitions of the schemata-schemes, of one perceive the world-in “developmental stages”, time when children are acquiring new ways of mentally representing-information. The first sub-stage, known as the reflex schema stage, occurs form birth to six weeks and is associated primarily with the developmental reflexes. Three primary reflexes are described by Piaget: sucking of objects in the mouth following moving or interesting objects with the eyes, and closing of the hand when an object makes contact with the palm (palmar grasp). Over this first six weeks of life, these reflexes begin to become voluntary actions; for example, the palmar reflex becomes intentional grasping. The second sub-stage, primary circular reaction phase, occurs form six weeks to four months and is associates primarily with the development of habits. Primary circular reactions or repeating of an action involving only one’s body begins. An example of this type of reaction would involve something like an infant repeating the motion of passing their hands before their face. The schema developed during this stage informs the infant about the relationships among his body parts (e.g. in passing the hand in form of his eyes he develops a motor schema for moving his arm so that the hand becomes visible. The third sub-stage, the secondary circular reactions phase, occurs from four to nine months and is associated primarily with the development of coordination between vision and apprehension. Three new abilities occur at this stage: intentional grasping for a desired object, secondary circular reactions, and differentiations between ends and means. At this stage, infants will intentionally grasp the air in the direction of a desired object, often to the amusement of friends, family, younger and older siblings, grandparents, etc. Secondary circular reactions or the repetition of an action involving an external object begin; for example, moving a switch to turn on a light repeatedly. The differentiation between means also occurs. This is perhaps of one of the most important stages of a child’s growth as it signifies the drawn for logic. However, babies still only have a very early rudimentary grasp of this and most of their discoveries have an “accidental” quality to them in that the initial performance of what will soon become a secondary circular reactions occurs by chance; but the operant conditioning causes the initial “ accidental” behavior (which was followed by an “interesting pattern of stimulation) to be repeated. And the ability to repeat the act is the result of primary circular reactions established in the previous stage. For example, when the infant’s hand accidentally makes contact with an object in hid field of vision is based on the primary circular reaction bringing his hand into his field of vision. Thus, the child learns (at the level of schemata) that “if he can see it then he can also touch it” and this results in a schemata which is the knowledge that is external environment is populated with solid objects. The fourth sub-stage, called the coordination of secondary circular reactions stage, which occurs from nine to twelve months, is when Piaget thought that object permanence developed. In addition, the stage is called the coordination of secondary circular reactions stage, and is primarily with the development of logic and the coordination between means and ends, this is extremely important marks the beginning of goal orientation or intentionally, the deliberate planning of steps to meet an objective. The fifth sub-stage, tertiary circular reactions phase, occurs from twelve to eighteen months and is associated primarily with the discovery of new means to meet goals. Piaget describes the child at this juncture as the “young scientist”, conducting pseudo-experiments to discover new methods of meeting challenges. The sixth sub-stage, considered “beginning of symbolic representation”, is associated primarily with the beginnings of insight, or true creativity. In this stage the trial-and-error application of schemata, which was observable during the previous stage, occurs internally (at the level of schemata rather than of motor responses), resulting in the sudden appearance of new effective behaviors (without any observable trial-and-error). This is also the time when symbols (words and images) begin to stand for other objects. This marks the passage into the preoperational stage. The Preoperational stage is the second of four stage of cognitive development. By observing sequence of play, Piaget was able to demonstrate that towards the end of the second year a qualitatively new kind of psychological functioning occurs (Pre) Operatory Thought in Piagetian theory is any procedure for mentally acting on objects. The hallmark of the preoperational stage is spare and logically inadequate mental operations. According to Piaget, the Pre Operational stage of development follows the sensorimotor stage and occurs between 2-7 years of age. It includes the following processes. 2. Centration - characterized by a child focusing or attending to only one aspect of a stimulus or situation. For example, in pouring a quantity of liquid from an narrow beaker into a shallow dish, a preschool child might judge the quantity of liquid to have decreased, because it is ”lower”- that is, the child attends to the height of the water, but not the compensating increase in the diameter of the container. 3. Intuitive thought - occurs when the child is able to believe in something without knowing why she or he believes it. 4. Egocentrism - a version of centration, this denotes a tendency of a child to only think for her or his own point of view. Also, the inability of a child to take the point of view of others. Example, if a child is in trouble, he or she might cover her eyes thinking if I cannot see myself my mom cannot either. 5. Inability to conserve - though Piaget’s conservation experiments (conservation of mass, volume and number after the original form has been changed. For example, a child in this phase will believe that a string which has up in ”o-o-o-o” pattern will have a larger number of beads than a string which has a oooo: pattern, because the latter pattern has less space between Os; or that a tall, thin 8-ounce cup has more liquid in it than a wide, short 8-ounce cup. 6. Animism- The child believes that inanimate objects have: lifelike qualities and are capable of action. Example, a child plays with a doll and treats it likes a real person. In a way this likes using their imagination. 1. Seriation - the ability to arrange objects in an order according to size, shape, or any other characteristic. For example, if given different-shaded objects they may make a colour gradient. 3. Decentering - where the child takes into account multiple aspects of a problem to solve it. For example, the child will no longer perceive an exceptionally wide but short cup to contain less than a normally-wide, taller cup. 5. Conservation– understanding that quantity, length or number of items is unrelated to the arrangement or appearance of the object or items. For instance, when a child is presented with two equally-sized, full cups they will be able to discern that if water is transferred to a pitcher it will conserve the quantity and be equal to the other filled up. 6. Elimination of Egocentrism - the ability to view things from another’s perspective (even if they think incorrectly). For instance, show a child a comic in whom Jane puts a doll under the box leaves the room, and then Sarah moves the doll to a drawer, and Jane comes back. A child in the concrete operation stage will stay that Jane will still think it’s under the box even through the child knows it is in the drawer. 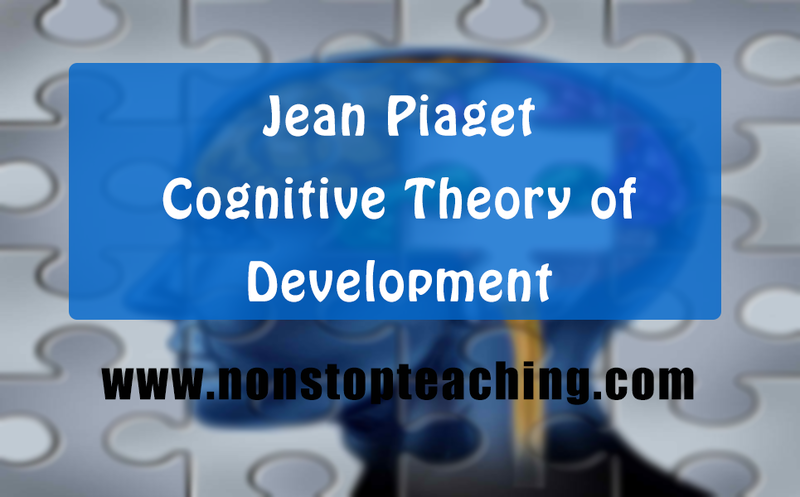 The formal operational period is the fourth and final of the periods of cognitive development in the Piaget’s theory. This stage, which follows the Concrete Operational stage, commences at around 11 years of age (puberty) and continuous into adulthood. It is characterized by acquisition of the ability to think abstractly, reason logically and draw conclusions from the information available. During this stage the young adult is able to understand such things as love “shades of gray”, logical proofs, and values.